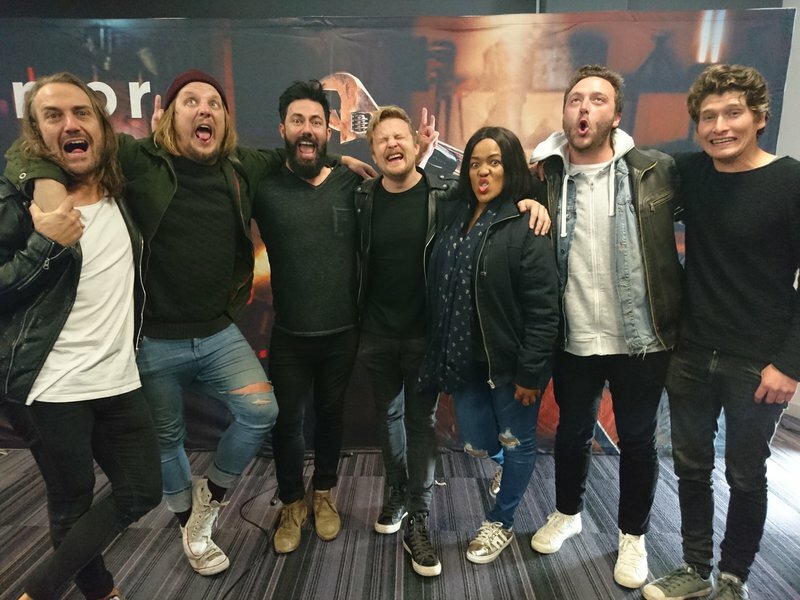 Fokofpolisiekar joined Martin Bester and Tumi Morake for one epic show and performed some of their latest tracks on radio for the first time. Can't get enough of Fokofpolisiekar's latest album #Selfmedikasie? Their album ‘Selfmedikasie’ was released on the 3rd of October and it’s their first full-length album in 11 years. The band also managed to raise over R1 million via a crowdfunding campaign to cover the album’s production costs as well as the additional campaign costs. Throughout this process they awarded their loyal fans with free shows in Johannesburg and Cape Town. They joined Martin Bester and Tumi Morake for #FridayLive and spoke about how the album came about, their favourite performances thus far as well as why it took them 11 years to release new music. However, what's a Friday without some banging tunes? They performed some of their latest tracks for the first time on radio for us and threw in a classic. Their latest album offers a number of great tracks. Take a listen to one of their newest songs, 'Komma'. "Glo in die Son' gave us goosebumps! We just couldn't let the band go without performing one of their best tracks, 'Ek Skyn (Heilig)'.